The BMJ's collection on "Antimicrobial resistance in South East Asia" is a series of 15 articles highlighting how antimicrobial resistance (AMR) has become a critical political, social, and economic problem in the WHO South East Asia region (SEAR: Bangladesh, Bhutan, Democratic Peoples’ Republic of Korea, India, Indonesia, Maldives, Myanmar, Nepal, Sri Lanka Thailand, Timor Leste) where there is possibly the highest risk globally for emergence and spread of AMR. Multisectoral action is essential to control the problem, says Poonam Khetrapal Singh. Fanny Chereau and colleagues assess the risk of the emergence and spread of antibiotic resistance in South East Asia and suggest it is the highest of the World Health Organization regions. Kathleen Holloway and colleagues discuss findings from a rapid assessment of antibiotic use and policies undertaken by South East Asian countries to drive further actions to reduce inappropriate use. Manish Kakkar and colleagues discuss the development of a tool to assess how programmes tackling antimicrobial resistance in South East Asia are faring. Nithima Sumpradit and colleagues describe the experience of Thailand in developing its national strategic plan on antimicrobial resistance and highlight the need for sustained political commitment and multisectoral collaboration. Manish Kakkar and colleagues discuss factors contributing to antibiotic resistance in India, and examine policy initiatives to address it. A pilot programme to evaluate Indonesia’s antimicrobial resistance containment plan shows that progress is on the right track, but substantial strengthening is needed, say Harry Parathon and colleagues. Flavie Goutard and colleagues call for concerted multisectoral measures through stronger policies to combat antimicrobial resistance. 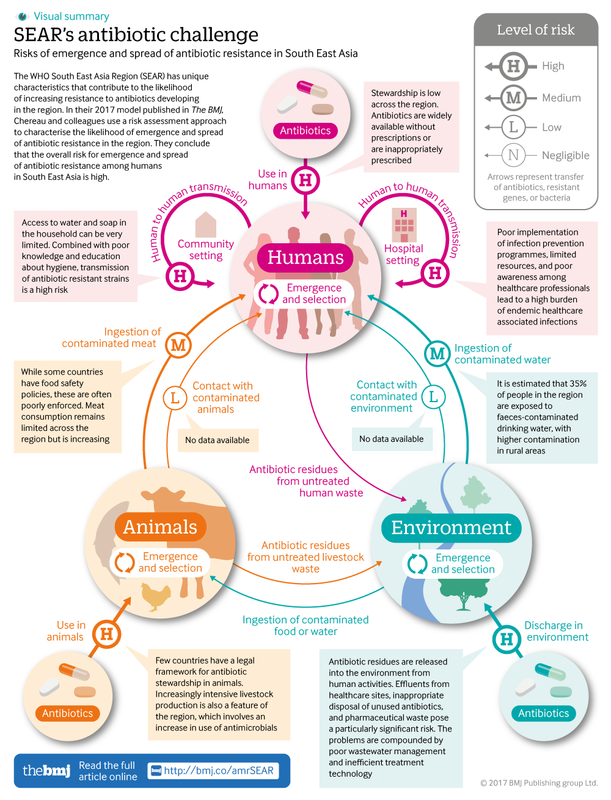 Cecilia Stålsby Lundborg and Ashok Tamhankar discuss how antibiotic residues in the environment contribute to antibiotic resistance in South East Asia and propose actions to mitigate the problem. 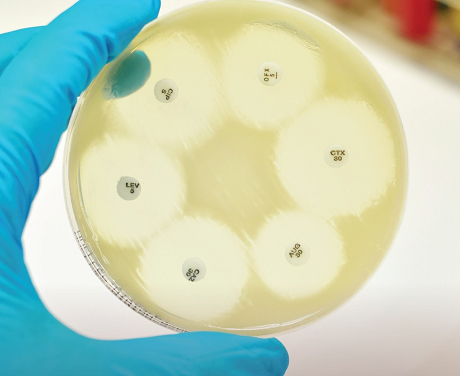 There is an urgent need to raise public awareness of antimicrobial resistance in the region, say Natasha Godinho and colleagues. Sirenda Vong and colleagues argue that investing in information technology surveillance systems to detect trends is an essential first step in tackling antimicrobial resistance in South East Asian countries. Aparna Shah and colleagues call on South East Asian countries to invest in national networks of laboratories for robust and standardised surveillance of antimicrobial resistance. Establishing and expanding government led networks to strengthen infection prevention and control and healthcare associated infection surveillance are essential to effectively tackle antimicrobial resistance. Soumya Swaminathan and colleagues discuss the progress in India. Bhabatosh Das and colleagues discuss research and development of new antimicrobials and rapid diagnostics, which are crucial for tackling antimicrobial resistance in India. Malaria, tuberculosis, and HIV present unique challenges in the control of antimicrobial resistance, and require targeted policies, say Samiran Panda and colleagues. This series was commissioned by The BMJ based on an idea from the WHO South East Asia Regional Office. The BMJ retained full editorial control over external peer review, editing, and publication. Open access fees are funded by the WHO South East Asia Regional Office.